The force gauge Centor Dual R series have all the functions of a Centor STAR R force gauge. And thanks to its ability to read two sensors simultaneously with a 5000 Hertz sampling rate per chanel, the force gauge CENTOR Dual is a true test console. 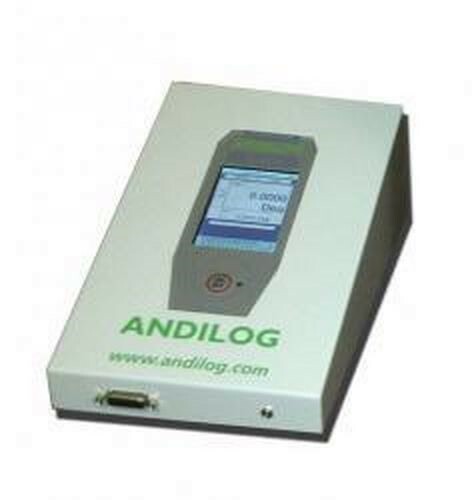 It offers all of the functionality of an efficient force gauge, its calculating power enables it to save values from two different sensors simultaneously, to monitor set points and to perform calculations on each channel. It also traces an F1/F2 graph on its display or even a Force/Displacement graph, as it can also read potentiometric rules and incremental encoders. For high capacities, when the measuring space is small or to integrate the load cell in a system, our force gauges Centor Star can be mounted with an external load cell to fit your needs. It is the simplest and most complete scalable system for approaching the most diverse and thorough tests in a workshop or laboratory. This standard reaction torque sensor is ideal to be integrated on a test stand or in other torque measurement application. The SPIP LLB3 series miniature compresssion load cell are recognized automatically by all the Centor Star and Dual force gauges and torque gauges, and they can complete a set of force/torque measurements at a very reasonable price. This type of load cell is designed to measure medium forces when the room is limited. Motorized single column testing systems, STENTOR II, design for tension and compression testing for quality control and general purpose mechanical testing.